Yes, Tomato is that good. Thank you to all the bloggers who talked about this store. It proved well worth the visit. I've never seen so many women buying fabric. Home dressmaking is alive and well in Japan. Nippori is easy too get to - just take the JR Yamanote line. 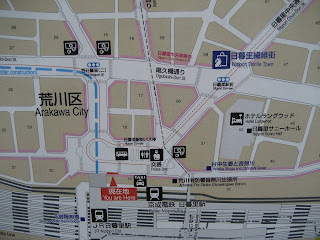 This map is just outside the East exit of the station (head for the North exit first, then signs to the East exit will appear). If you click on this map you can see it in more detail. 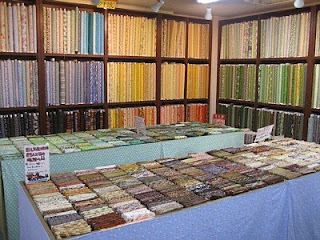 Whether you are a dressmaker, a crafter or a quilter, you are bound to be happy with the selection on offer. My favourite floor was the 4th floor. The 5th floor was also interesting with great bag handles, braids and the like. There was oodles of linen in all weights and colours. The 100 yen rack near the front door was very popular. It was a complete crush around that area and it was hard to get a close look at the fabric for all the women standing in front of it. I was at Tomato in October, when I was in Japan. I had read alot about it and it's really an amazing shop with lots of great and hard to find fabric! I just felt sorry I went there with my boyfriend and couldn't spend hours looking around. :D Even so, I spent about 10 000 yen there. If I had a portal that could take me anywhere I think I'd get it to take me straight back to Tomato whenever I needed it..
wow, me crazy over fabric too! just love to shop for it! how i wish to go to japan now! 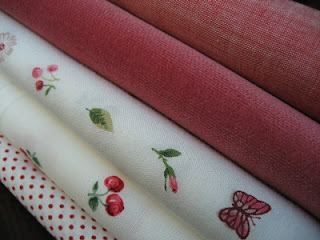 love all the beautiful fabric! So I have a possibly dumb question, but I'm going to ask because I really want to know. When you're in a Japanese fabric store and you want fabric off a bolt, how do you ask for/buy it? I'm used to American fabric stores where I take the bolt down to the register and ask for however many yards I need. Is it the same in Japan, but just with meters? Or is there some other purchasing etiquette I should know? Staring in awe! I LOVE that photo and wish wish wish I had a store half as stocked here in West Tennessee (without driving an hour).